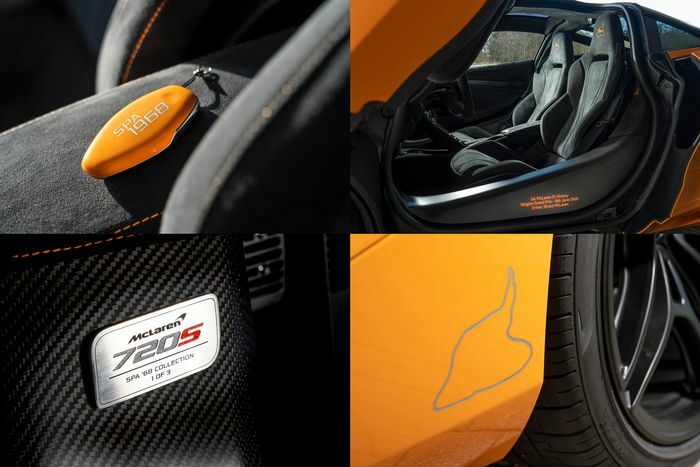 Feast your eyes on the MSO Bespoke Anniversary Orange paint of the McLaren 720S Spa 68 Collection. Built in a mini-run of three, it celebrates the very first race won by Bruce McLaren in a car he designed and built himself. That was, as you’ve no doubt guessed from the name of this special edition, Spa-Francorchamps in 1968. Back then it was a much more dangerous 8.7-mile loop that took in more of the area’s beautiful countryside. Part of the old track is today a section of public road. The ignition key is in Anniversary Orange with silver Spa 1968 lettering and each of the three cars comes with its own numbered plaque. The orange theme continues with matching seat stitching and black contrasting detailing throughout – including for the five-twin-spoke wheels. Two out of the three at McLaren Brussels have already been sold. It’s not known which number remains, but you’ll want to be quick if you’re thinking about winning the lottery and buying it. Just promise us you’ll use it regularly.